The 2018 wildfire season in North America is well under way, with blazes having burned more acres than average through the end of July. 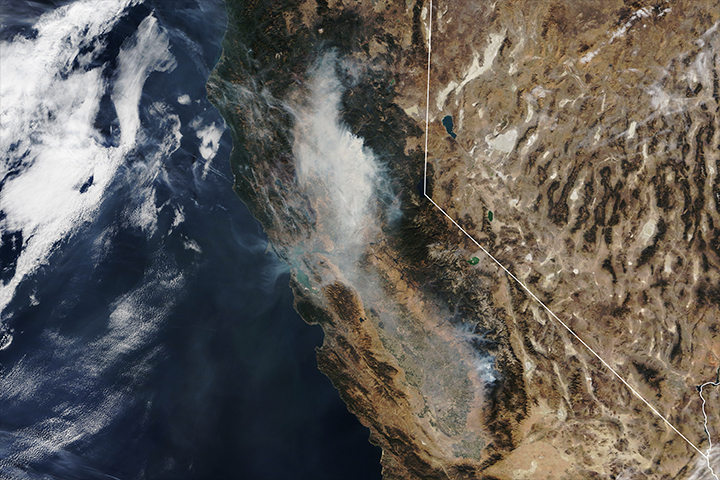 Earlier in the summer, satellite images showed smoke and burn scars from fires in western states including California and Colorado. 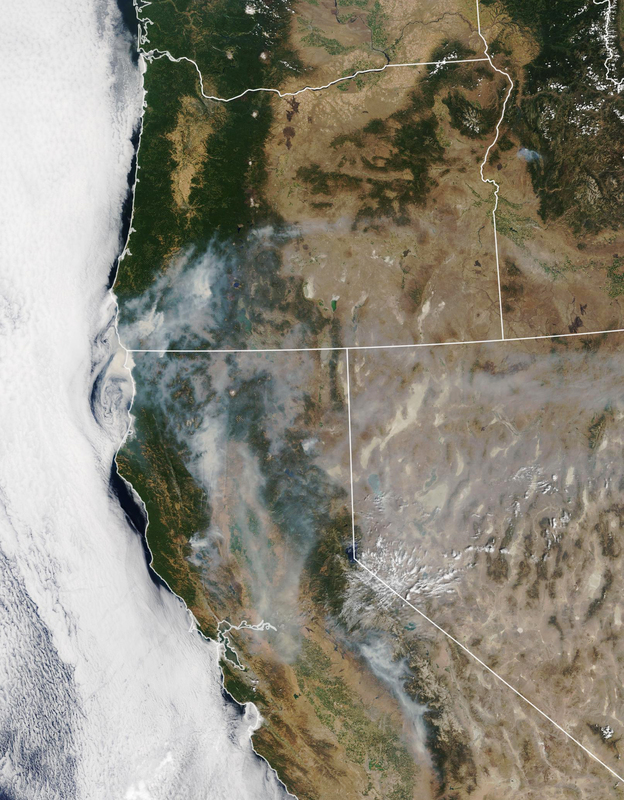 As the calendar turns to August, smoke is now streaming from fires in nearly every western state. 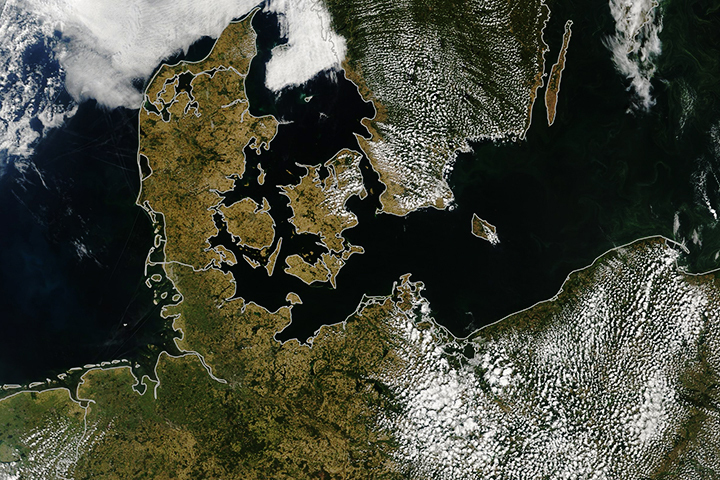 The Moderate Resolution Imaging Spectroradiometer (MODIS) on NASA’s Terra and Aqua satellites acquired these natural-color images on July 28 and 29. 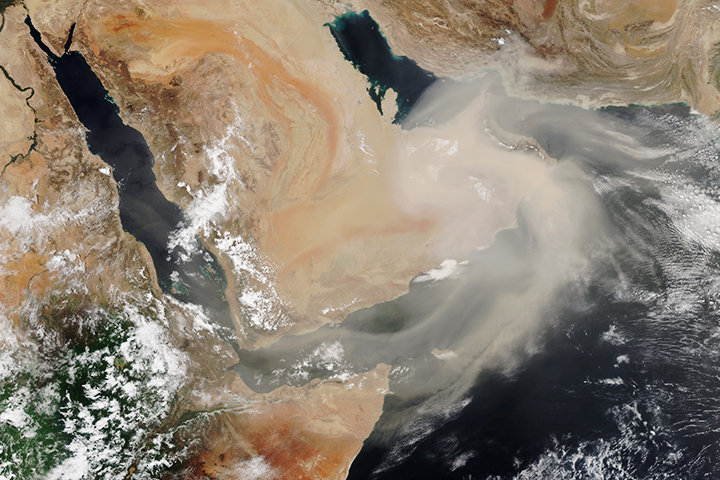 The animation shows how winds can make smoke plumes vary daily in direction and distance from their source. A notable amount of the smoke stems from the Carr Fire, which is burning in Shasta County near Redding, California. 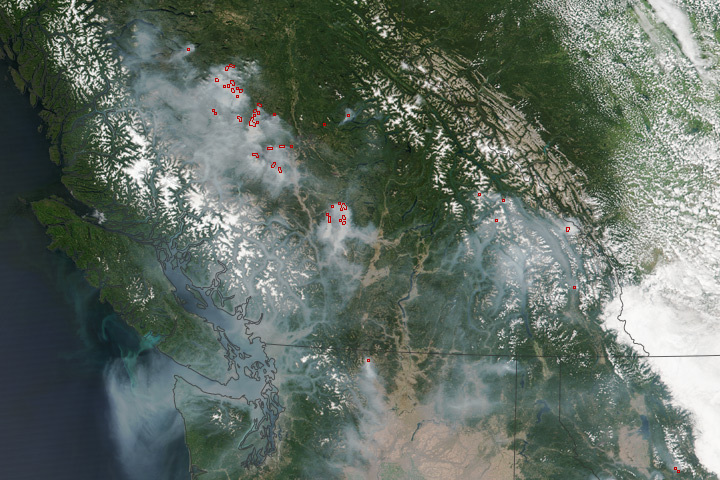 The fire ignited on July 23 amid warm, dry conditions. By July 30, it had burned 98,724 acres and was just 20 percent contained, according to Cal Fire. News reports noted that shifting, gusty winds and a lack of rain in the forecast could worsen the situation. 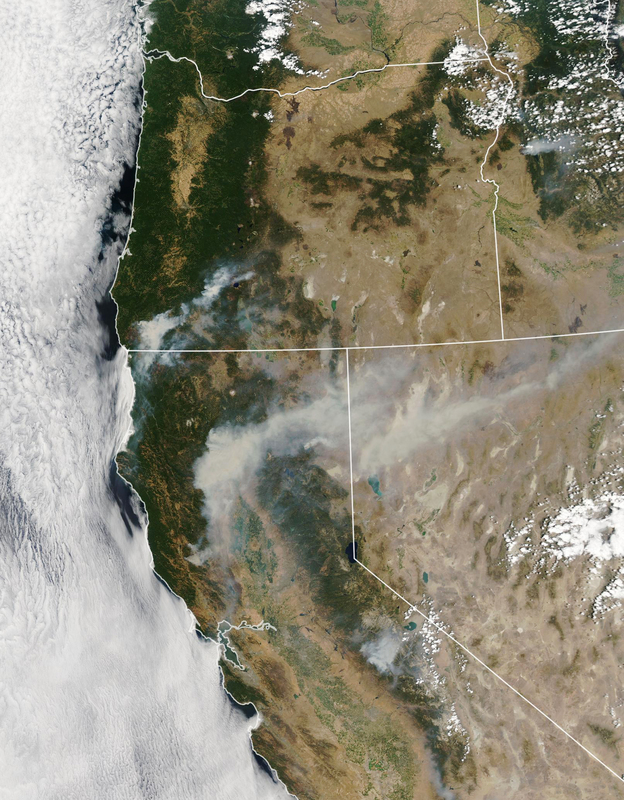 Other states also contributed to the smoke pall over the West. According to the National Interagency Fire Center, 98 large active fires were burning across the United States on July 30, having consumed 1.2 million acres. States with the largest fires counts included Oregon (16), Alaska (15), Arizona (10), Colorado (13), and California (9). 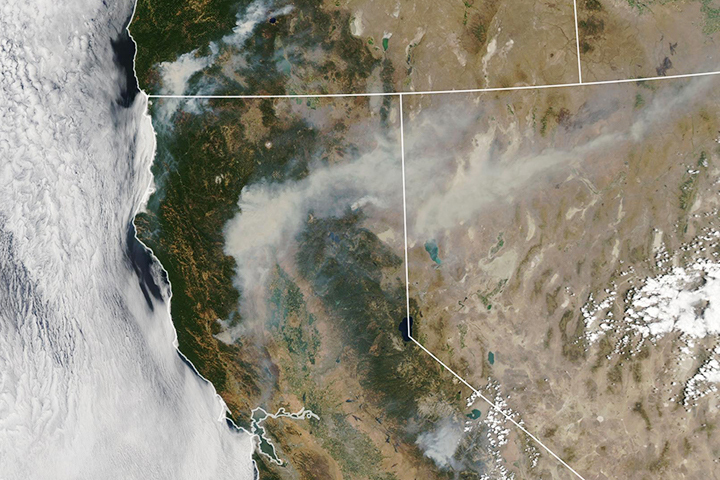 Most areas of burning land are not directly visible in satellite imagery, obscured from view by smoke and clouds. 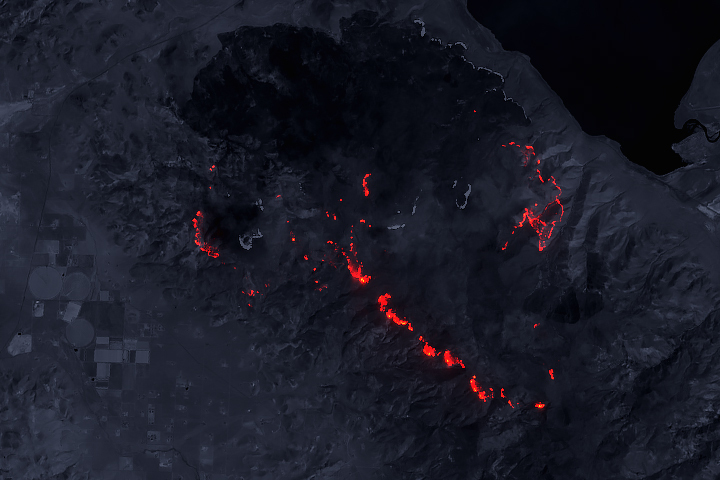 The Perry Fire in Nevada is an exception; check out these Landsat images to see how the fire advanced over the span of a day. NASA Earth Observatory images by Lauren Dauphin, using MODIS data from LANCE/EOSDIS Rapid Response. Story by Kathryn Hansen. 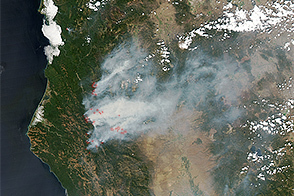 California’s Carr Fire was one of 98 large, active fires delivering smoke across the United States in late July. Cal Fire (2018, July 30) Carr Fire Incident Information. Accessed July 30, 2018. CNN (2018, July 30) Carr Fire in California is so hot it's creating its own weather system. Accessed July 30, 2018. 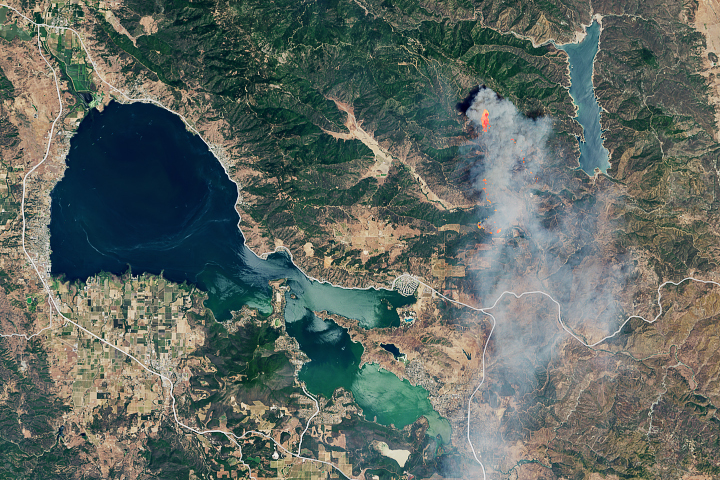 NASA Earth Observatory (2018, July 30) The Perry Fire by Day and Night. 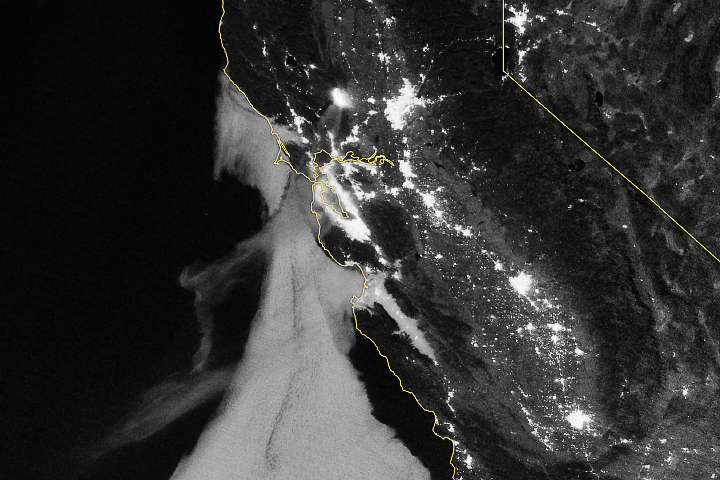 NASA Earth Observatory (2018, July 21) County Fire Lights Up the Night. 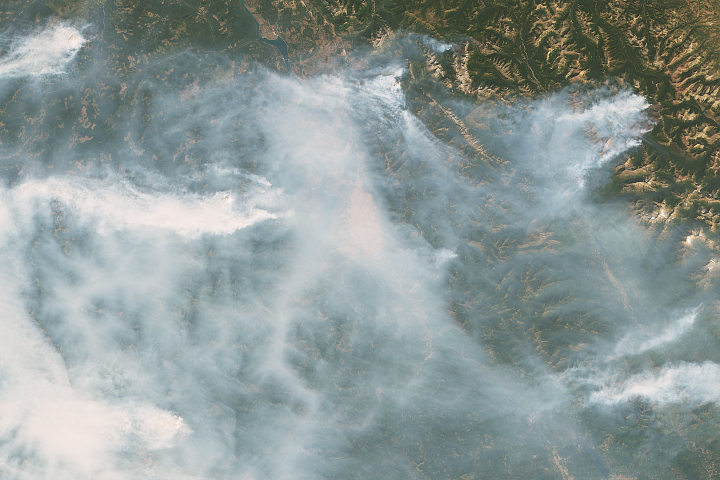 NASA Earth Observatory (2018, July 6) Fires in a Dry, Hot Colorado Summer. NASA Earth Observatory (2018, June 11) 416 Wildfire Rages in Colorado. National Interagency Fire Center (2018, July 29) Incident Management Situation Report. Accessed July 30, 2018.